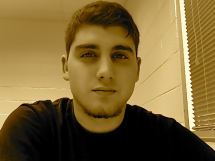 Zachary Baab, a current of Southern Polytechnic State University, has accomplished many programming classes and projects, which he can do basic coding and graphics. Zachary Baab is about to graduate with a Bachelor’s of Science in Computer Science. Zachary Baab has been programming for 7 years. Zachary Baab has made a Persistence of Vision (POV) device using assembly language and SMD LED lights, decoders, and resistors on a PCB board attached to a fan blade. He has made a small chase game, like that of a cat-and-mouse game. Zachary Baab has made a first-person shooter using openGL to write the code. 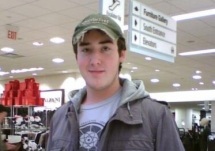 Zachary Baab has helped with the software development of a video role playing game, which included coming up with the names, look, and stats of some of the main characters and the look and layout of a level. He used different types of software development designs, in particular agile, to create a database system for a medical database that was to help smooth out patient check-in time and the time it takes the doctor to see the patient. He has coded many programs to search a database in the quickest and most efficient way possible. Zachary Baab has, with a team, programmed an operating system and a distributed computing system. Austin Ford Austin Ford is a rising junior studying Computer Game Design and Development at Southern Polytechnic University. 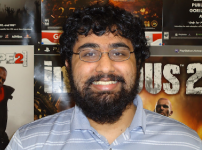 He has taken game design focused classes such as, Programming and Problem solving I & II, Fundamentals of Game Design, and Application and Scripting. Some highlighted projects completed are reinventing an apocalyptic version of the SPSU Student Center in G.E.C.K. Creating a MMO style map system in C#. Designing a game based on escaping from a “Doom Mountain” by running and escaping obstacles. Other useful skills would be that Austin is a clear and efficient public speaker, able to be at ease in front of crowds at presentations. 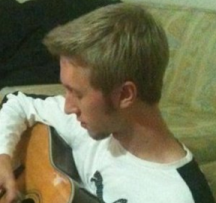 Austin’s creativity and game development background focuses strongly on giving the world an atmosphere and feeling. Not so much making the decision point on what the game is or how it functions but making it come alive and making the user feel connected to the game. Also focusing on the mood of the world and how to be able to control the player and how they play based on things such as lighting, music, and colors around them. 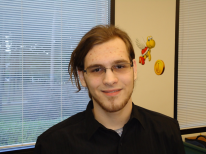 Austin has participated in events such as SCAD Global Game Jam and coded in C# small pieces of games for fellow students. Such as basic AI, Interactive maps, UI, Writing and Reading File I/O, and more. Henry Moss Henry Moss is a 4th year Computer Game Design and Development Major at Southern Polytechnic State University. 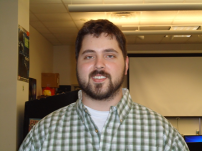 He has experience with several game development environments, including Unity, Unreal Development Kit (UDK), and XNA. Additionally, he has experience working with Maya and Blender for 3D modeling on top of 2D sprite animations. Outside of scholastic work, Henry has also been lead level designer on two modding projects, Brawl+ and Project:M, who’s goal it was to modify the physics and gameplay of a previously existing game engine. During this time he planned out and organized the layout of the gameplay areas for the final project. Project:M has been showcased on IGN several times. Henry has also participated in SPSU Game Jam. Seth Bedgood Seth Bedgood is a student at Southern Polytechnic State University. He is majoring in Computer Game Design and is currently a junior. During his two years at SPSU Seth has taken programming and design classes, knows C#, and also has experience with Lua and G.E.C.K. Seth has been to 2 SPSU game jams, and 2 global game jams, and has helped develop various assets for games at both of these, as well as projects in classes. In addition, Seth is a member of both the IGDA and GGDA. Bedgood's skills include some audio experience, coding experience in C# including XNA, intro programming in 1301C and 1302C, and he has worked on 1 or 2 outside projects. Clifton Fowler Clifton is an undergraduate student of Computer Game Development and Design as Southern Polytechnic State University. He is particularly interested in developing indie games that offer new and innovative play experiences that challenge the boundaries of game design as well as developing intelligent and self-sufficient artificial intelligences. He has six years of programming experience and learning from college experience. He has experience in game design from CGDD 2002, programming experience with C# from CSE 1301 and CSE 1302, programming experience with C++ and developing for Game Boy Advance emulators and with OpenGL, as well as experience programming and developing software with JAVA. 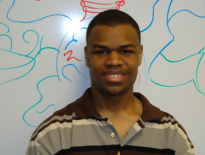 He experienced a successful Game Jam, Fall 2011 and plans on attending future Game Jams whenever possible. He is currently working on a procedurally generated dungeon crawler using Unity and C#/JAVA scripting that uses modular and modifiable dungeon/environment pieces that can be moved and/or “consumed” for an effect in order to traverse various obstacles within the environments in order to progress. Jared Sanchez is a student currently enrolled at Southern Polytechnic State University pursuing a degree in Computer Game Design and Development with a minor in Computer Science and Software Engineering. Mr. Sanchez is the founder and current president of SPSU's Game Design and Development club and organizes many of its events. Jared has participated and assisted at three of SPSU's game jams including its first ever Global Game Jam and has developed three games from them. Mr. Sanchez currently assists the GGDA with SIEGE as its Director of Exhibitor Services and has been since 2011. He is also currently employed as a Game Server Programmer for Visioneering Games, Inc. and serves as its leading C# programmer. Jared is proficient in programming (primarily C++ and C#) and has excellent knowledge of scripting and application extension (Unreal Engine and Unity). Mr. Sanchez also emphasizes the importance of the design of a game in wanting to push innovation and new concepts into the game. Paul Bartlett is a Game Design major at SPSU and is currently the secretary of the SPSU’s Computer Game and Design Club (CGDC). Paul is currently a junior at SPSU with knowledge from CSE 1301, CSE 1302, Data Structures, Animation/Modeling and Computer Graphics under his belt. He also has skills with Visual Studios, Unity, OpenGL, C#, C++, Paint.Net, Gimp and Maya that he can utilize. In OpenGL, Paul knows how to create environments and import models. For Unity, Paul knows how to create environment, import models and animate models. For Maya, Paul knows how to create a model, texture the model, give the model a skeleton, rig the model and animate the model. Paul Bartlett has attended three game jams in which he was an artist for one and a programmer for another. Paul is also a member of the National Society of Leadership and Success, a society that promotes people to take the initiative to get work done. 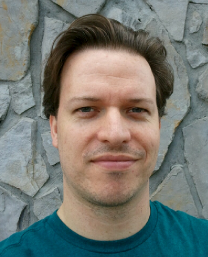 Paul can bring Art, Programming, Design and Modeling assets to a team. Kevin Gross Kevin Gross is currently a Computer Game Design and Development student at Southern Polytechnic State University, programmer and software engineer at Zimmdot, LLC, and Vice President of the Game Design and Development Club at Southern Polytechnic State University. He has experience writing games and apps in C#, C++, and Objective C. Kevin also has experience with Kismet and Matinee, Unity, Maya, and Cocos2d. 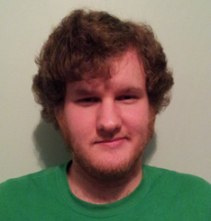 Kevin Gross is very interested in game engine programming and programming game physics. He has created several 2d game engines in XNA and Cocos2d and implemented a number of scripting engines in games he has worked on. Sage Kelly Sage Kelly is a junior attending Southern Polytechnic State University, majoring in Computer Science and minoring in Game Design and Development. He is well accommodated with the XNA Game Engine, and has learned the languages C#, Java, PHP, PostgreSQL and C++. 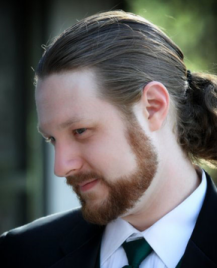 He has participated in 3 Game Jams as a pixel artist, with two of them being Global Game Jams. He has also attended a SEIGE convention. He has become comfortable with the UDK and Unity Engines and has completed two major projects using them. When creating his games, Mr. Kelly prefers to provide a visceral, unified experience with a well-supporting storyline. He likes to consider all of the contingencies which a player may take. Programmatically he prefers to create, not only functional, but efficient, easily legible code. Casey Graebner Casey Graebner is a senior at Southern Polytechnic State University in the New Media Arts major going for a minor in Computer Game Design and Development. He earned an associates degree in Visual Communications. He is an active member of International Game Developers Association (IGDA) and Association for Computing Machinery (ACM). He has experience in C# and XNA game development. He has some experience with Maya. He helped develop and run several live action role-playing games. 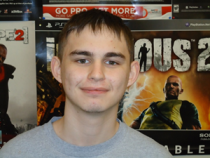 His interest is in gaming art and communication through gaming among others. He is platinum level GA Work Ready Certified. He has over 10 years of retail management experience. He is experienced in the Adobe Suite and is a webmaster of several websites. user-driven design with potential to modify integral code and expand. Timothy Zuspan Tim Zuspan is a Computer Science Student at Southern Polytechnic State University. He has 8 months experience as a Software Development Intern with Sybase Inc, where he developed server software, administrative websites, and Android applications. He is particularly interested in artificial intelligence, mobile platforms, and computer animation. 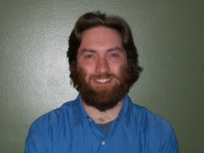 Tim has experience developing in Java, C++, and C#, including XML. Todd Michaels Todd Michaels is a student at Southern Polytechnic State University majoring in Software Engineering. He is particularly interested in game simulation, development, and the use of new technology specificity with games. Mr. Michaels has been learning about games and technology for 10 years and has been a part of teams in developing casual games. He is also a part of the PlayStation RLS community and the Microsoft Expertzone where he is actively learning newer technology and games. 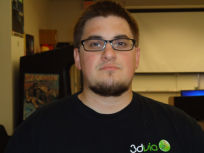 He attends several conventions throughout the region experiencing several different workshops that pertain to newer technology within the gaming industry. Mr. Michaels also has been through specific training for leading teams and developing others to follow his example and guidance. Tien Nguyen Tien Nguyen is a student at Southern Polytechnic State University. She is majoring in New Media Arts, has a minor in Architecture (3 years) and has taken many business courses (2 years). Professionally, Tien has held positions as manager, director, and district manager at various businesses. She has also coordinated many large scale events (2000+ attendees in Los Angeles, Washington DC, Chicago, etc), and has acted as Chief Art Director for these events. Technically, Tien has experience in Adobe Photoshop, Indesign, Illustrator, Dreamweaver, Premier, Auto Cad, Form-Z design and Rivet. She also has extensive experience with Microsoft Word, Excel, Powerpoint and Google docs. 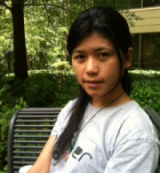 In terms of game development, Tien has designed various game concepts, Eco Family Fun Fair, The Chore Store, and The Mountain Climber. If you’re looking for a great multimedia artist, a self starter, a great project manager, and a great team player, look no further. 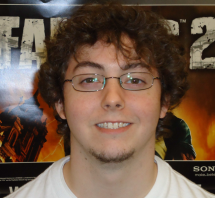 Zack Schneider is a senior majoring in Computer Game Design and Development at Southern Polytechnic State University. He has been programming for 3 years, and his main languages are C# and C++. Zack has designed five 2D games and two 3D gamed so far and is currently working on a third 3D game. He is a strong programmer, due to his natural inclination to think logically. He started college as a mathematics major at Kennesaw State University and then transferred to SPSU to learn more about physics. Loving games, he decided to take some CGDD classes and he found that he has a talent for programming. Throughout his programming experience, Zack has found that he enjoys creating something from nothing and making these thing unique. He enjoys challenges and likes to test his abilities regularly. In his games, Zack focuses on the small details and how they will impact the larger story he is trying to convey to the gamer. This page was last updated on 5/23/2012.